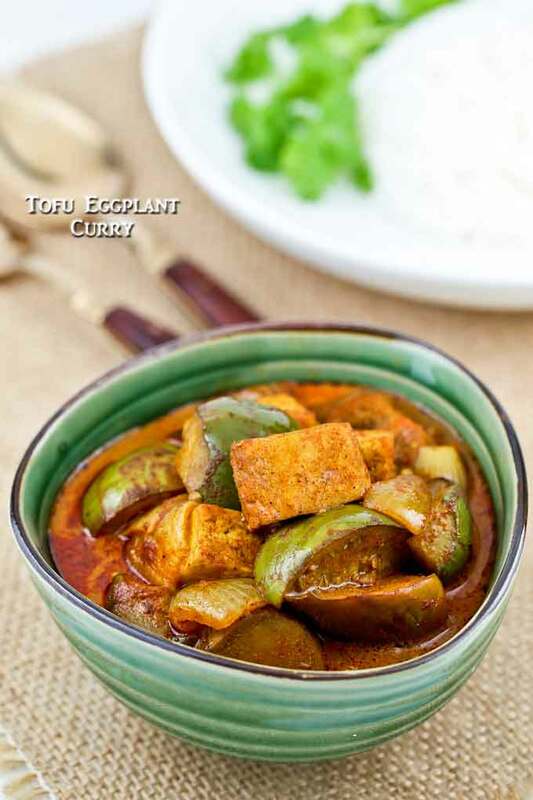 This easy to prepare Tofu Eggplant Curry is delicious and flavorful. Serve it with rice for a satisfying vegetarian meal. Tofu is one of my favorite ingredients. It is very versatile and can be used in a variety of dishes. Its mild flavor enables it to be paired with most other ingredients. In fact, it absorbs all those flavors, making it really tasty. Tofu comes in different textures which allows for it to be steamed, fried, and braised. Generally, silken or soft tofu is usually steamed and paired with milder flavors. Firmer tofu is often fried or braised and paired with stronger flavors. When it comes to eggplant, we have a variety to choose from. Slender Chinese eggplants are my favorite as they are sweeter and more tender. The round green eggplants you see in the picture below are Thai eggplants. They have a firmer texture and are great in curries. 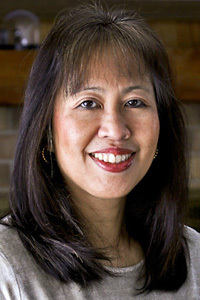 Most Asian markets carry Thai eggplants during the summer months. 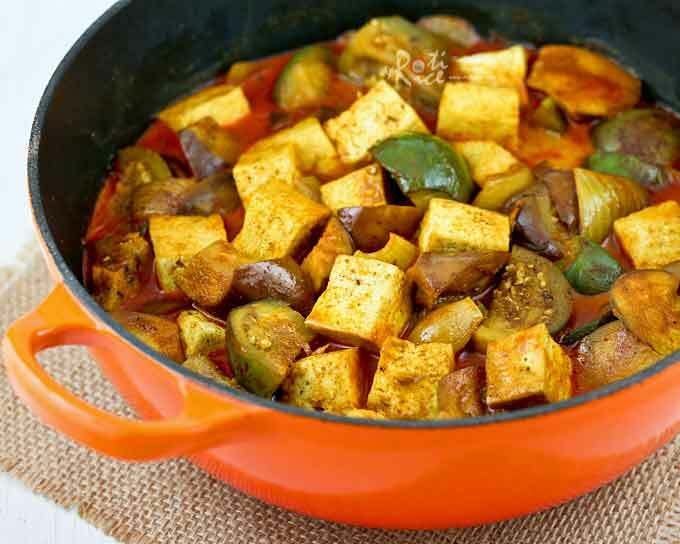 Today’s tasty Tofu Eggplant Curry is a favorite that I have cooked many times. Firm tofu is used in place of meat in this curry. Pan frying gives the cubed tofu a light crust which helps prevent it from breaking up too easily in the pot. Place tofu in a shallow dish with another heavy flat bottom dish on the top. Leave it for 10 minutes to press out all excess liquid. Drain and cut tofu into ¾ inch cubes. Heat a tablespoon of oil in a non-stick fry pan. Pan fry cubed tofu on all sides until golden brown. This should take about 8 to 10 minutes. Remove and set aside. Add remaining 3 tablespoons vegetable oil to a medium sized pot. Stir fry onion, garlic, and ginger over medium heat for 2 minutes. Add curry powder and continue to fry for another 3 minutes. Pour in coconut milk and bring it to a boil. Add Thai and Chinese eggplants. Cover, reduce heat, and allow eggplants to cook for 5 minutes. Add pan fried tofu and salt. Cook for another 3 minutes. 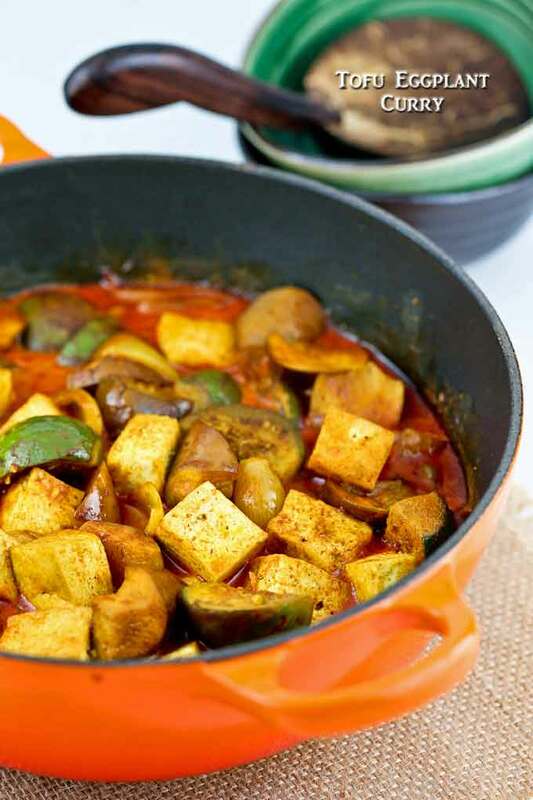 If you are new to tofu, this Tofu Eggplant Curry is the dish to try. 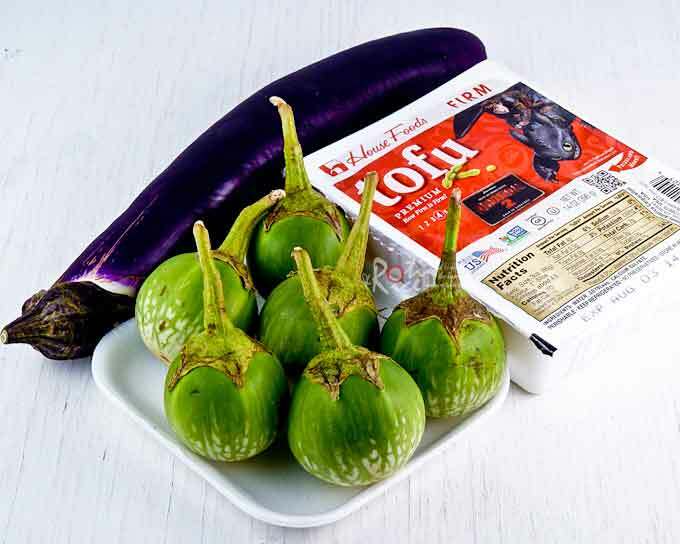 The curry sauce lends a wonderful flavor to the meaty tofu and the two types of eggplants provide varying textures to the dish. It is best served with a bowl of rice. this looks wonderful can you use a regular Indian curry powder ? Very nice dish. The round egg plant is new to me, looks so cute! can i use regular eggplant? Yes, you can. You may have to cook it just a wee bit longer as the regular eggplants are firmer.